Witness for Peace Southwest, US-El Salvador Sister Cities and School of the Americas Watch will be hosting a trip to Honduras, from August 11th to the 20th. This delegation aims to continue the spirit of international solidarity between Honduras and the United States, and in this case with several Salvadorans that will be on the delegation as well. This triangular model of solidarity allows us all to learn from each other and support each other in the struggle against injustice in Honduras. Since the 2009 coup d’etat in Honduras that ousted elected President Mel Zelaya, communities and movements seeking democracy and human rights in Honduras have come under attack. Hundreds have been assassinated, received death threats, evicted from their communities and beaten by Honduran military and police. Yet during this time a massive movement of resistance has grown from the Indigenous communities of Intibuca, to students movements in Tegucipalpa, to LBGQT movements in San Pedro Sula and campesinos movements in the Aguan Valley. The resistances movements formed the first ever popular leftist political party in Honduras and in only 2 years managed to gain 28 seats in congress and dozens of local level posts in the November 2013 elections. Since the contested November Presidential elections in 2013, right wing National Party leader Juan Orlando Hernandez has taken up the new Presidency, which has continued to see assassinations of journalists and the May 2014 beatings of opposition congress members inside the National Honduras Congress. Continued international solidarity is critical at this time to maintain pressure on the Honduran state to respect human rights and communities fighting for dignity and the right to live. 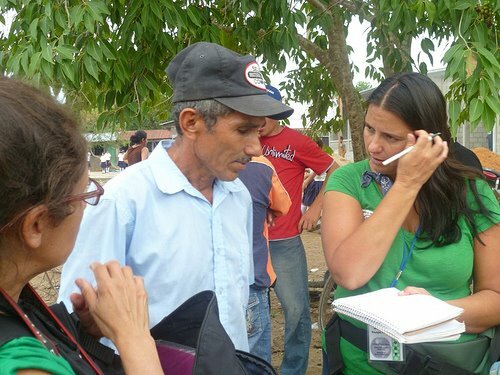 International observers are needed to document human rights abuses, to accompany communities in resistance and to pressure the US and Honduran governments to respect and adhere to international human rights law. 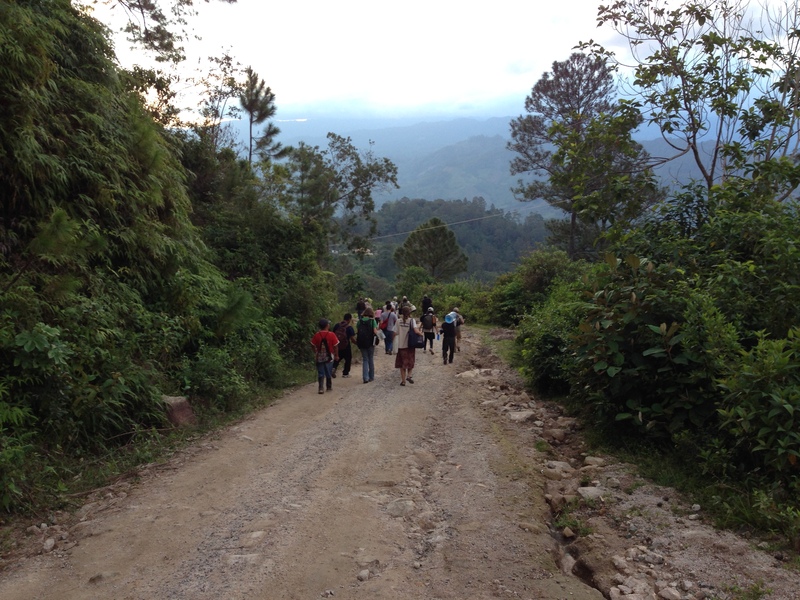 Qualified on the ground trip leaders experienced in leading delegations in Honduras. A visit to the Honduran capital Tegucigalpa to meet with youth resistance organizations, the LBGQT movement, members of the Honduran congress and to advocate with the new US Ambassador to Honduras. Travel to the beautiful mountainous region of Intibuca where the Lenca indigenous peoples have existed for centuries. We will stay 1-2 nights with the Lenca community of Rio Blanco where the community has been actively defending their river from being privatized and sold off to a private hydroelectric damn company. We will visit the Northern cities of San Pedro Sula and El Progreso to learn about the plight of journalists in Honduras, where more journalists have been assassinated than any other country of the world. Witness the beautiful northern Caribbean coast to hear from the Afro-Honduran Garifuna peoples as they fight to keep their lands from international tourism developers. Spend 3-4 nights staying with campesino communities of the Aguan Valley where campesino organizations are fighting for land rights. Hear testimonies of resistance from campesino leaders and families as they go up against multi-million dollar agro-business companies dominating the landscape with African Palm oil production.